Parking is available at the corner of Banner Way and Legends Lane, adjacent to the Philadelphia 76ers Training Complex. 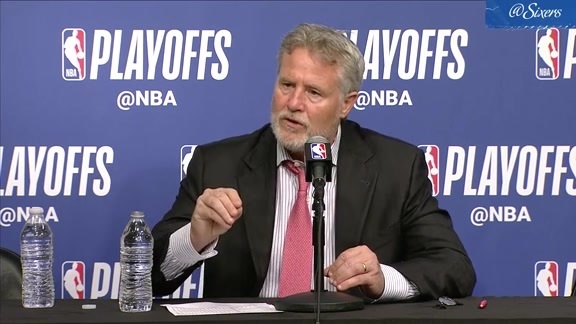 Philadelphia 76ers Head Coach Brett Brown will host his fourth annual coaches’ clinic at the Philadelphia 76ers Training Complex. The clinic is free and open to basketball coaches of all ages and levels (youth, high school, college), who will have the opportunity to participate in an interactive clinic and learn directly from Coach Brown and his staff. The annual clinic is a part of the Brett Brown Coaches Circle initiative that provides outreach and resources to local basketball coaches. Coaches wishing to sign-up for the clinic may use the following link: brettbrownclinic.eventbrite.com. Media wishing to attend the event for coverage purposes is kindly asked to RSVP to 76ersPR@sixers.com no later than Thursday, Sept. 13 at 5:00 p.m. Assistant Coach Monty Williams will be available to the media. The Philadelphia 76ers are one of the most storied franchises in the National Basketball Association, having won three World Championships, earning nine trips to The Finals and making 48 playoff appearances over 69 seasons. The Philadelphia 76ers organization is a Harris Blitzer Sports & Entertainment property. Playoff Voices | "If It Helps The Team, I'm All For It"